What I’ve discovered playing with VMware server. the difference between VMware Player and Server: VMware Player, a free virtual-machine host, can run virtual machines made by other VMware products, but cannot itself create new virtual machines. how to lock your VM network adapter to one MAC address: disable all networks/adapters other than bridged and edit each virtual machine’s .vmx file to change “ethernet0.address” to a unique MAC and “ethernet0.addresstype” to “static”. Make sure to also remove the “ethernet0.generatedaddress” entry entirely. Setting the MAC Address Manually for a Virtual Machine goes into more detail. At first I was a bit puzzled that I could power up my Trustix VM – and it’ll be visible on my network via ping and SSH. Yet when I logged out of the host OS the VM would disappear. According to the forum post “VM powers off by itself….” this is caused by connecting to the host OS via Remote Desktop. 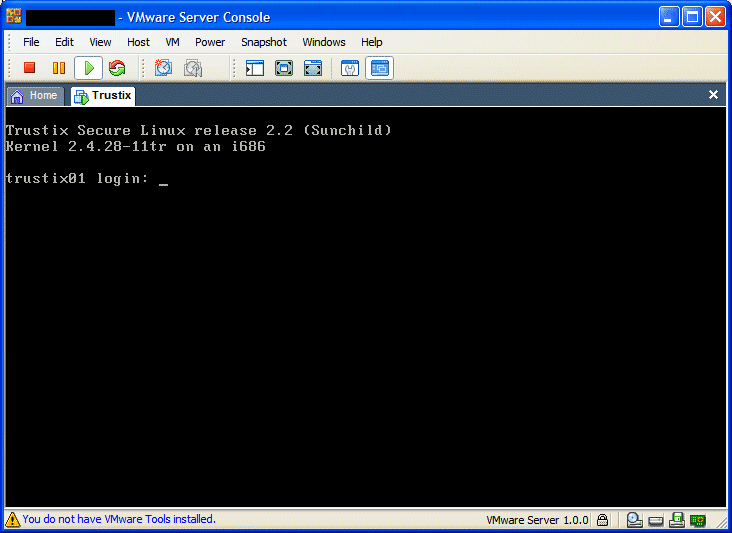 A better alternative is to power up my VM via the VMware Server Console. 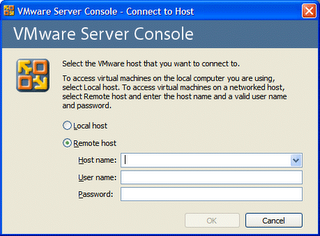 VMware Server is a true client/server app. Your virtual machines execute on a server somewhere – and you can connect to administer/view the machines from another PC using the VMware Server Console. For me this required opening up port 902 on my host OS. Connecting to the VM Server. Trustix VM viewed from my main PC. Now that my VM is running continuously – I can do all my Linux mucking around from an SSH client. So I don’t really have much need to connect via the VMware Server Console. Posted by russ on Thursday, June 15, 2006, at 11:33 am. Filed under virtualization. Follow any responses to this post with its comments RSS feed. You can post a comment or trackback from your blog.